Already available on KUHN’s PROLANDER seedbed cultivator, the Double-U roller is now available on all models in the PERFORMER range, with machines available in 3, 4, 5, 6 and 7 metre working widths. The Double-U roller uses two rows of offset 600mm diameter rollers to provide 175kg/m of downward force at 12.9cm spacings. Each roller is U-shaped to provide an inverted channel which fills with soil, thereby providing good soil-soil contact: this not only eliminates soil smearing but also reduces roller wear and tear and ensures good soil crumbling and even consolidation across the entire working width. 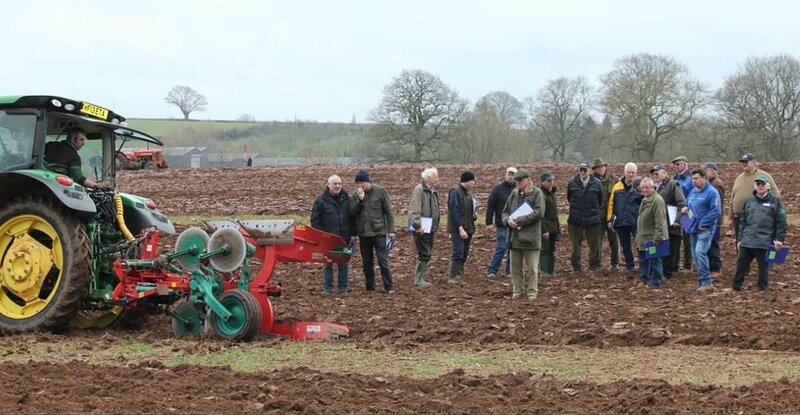 The Double-U roller is suitable for working a range of soil types, from medium to heavy land, and is ideal for creating seedbeds where a shallow depth of consolidation is required. The roller’s inverted U-shaped channel is also unaffected by plant residue clogging, making it ideal for use on soils with a high trash content. In addition to the Double-U roller, the PERFORMER is also available with KUHN’s HD-Liner 700 roller: a 700mm diameter heavy roller which uses v-shaped, notched profile rollers to provide 225kg/m of downward force.